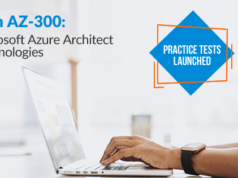 We’ve previously launched the AZ-100 Practice Tests to help you pass the first exam to become a Microsoft Certified Azure Administrator. We have been continuously receiving requests for the launch of AZ-101 practice tests. Yes, you asked and we brought it for you. We are happy to announce the AZ-101 Exam Practice Tests. Let’s have some details about the Exam AZ-101: Microsoft Azure Integration and Security, And then we’ll explore what’s there inside the Azure AZ-101 practice tests. As per new role-based Microsoft Azure certifications, one needs to pass two certification exams i.e. Exam AZ-100: Microsoft Azure Infrastructure and Deployment and Exam AZ-101: Microsoft Azure Integration and Security to become a Microsoft Certified Azure Administrator Associate. If the candidate has already passed the 70-533 exam, he needs to pass the AZ-102: Microsoft Azure Administrator Certification Transition exam to receive the badge of Azure Administrator Associate. Exam AZ-100 and Exam AZ-101 are the replacement of the Microsoft Azure 70-533 exam in the new role-based Microsoft Azure certification path. It means it is required to pass the AZ-100 and AZ-101 exams in the same sequence to become an Azure Administrator. Once you pass both the certification exams, you will receive the Microsoft Azure Administrator Associate certification. Haven’t yet passed the exam AZ-100? Follow this AZ-100 exam preparation guide and get ready to pass the AZ-100 exam first. As the exams AZ-100 and AZ-101 are couples for the Azure administrator role, there is not much difference in the exam pattern and other details. Once you have passed the AZ-100 exam, you can sit in the AZ-101 exam. You will have 40-60 questions in the exam, some may be one-word answer type questions while others may be the long answer questions. The candidate gets 180 minutes to complete the exam where 30 minutes are reserved for the instructions etc. The exam fee for the exam AZ-101 is same as that of the exam AZ-100 i.e. $165. Exam blueprint defines the exam objectives that are covered in the exam. AZ-101 exam blueprint consists of the domains on which the knowledge of the candidate is tested. Let’s have a look at the domains, topics, and their percentage weight in the exam. 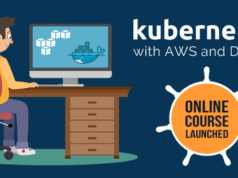 So, prepare yourself with these topics, get some hands-on experience, and prepare through online courses and practice test to pass the AZ-101 certification exam. Give your preparation a new edge with this comprehensive AZ-101 exam preparation guide. Read now. As AZ-101 is a new exam for the Azure Administrator role, you need to follow a right AZ-101 exam preparation track. To help you prepare for the AZ-101 exam and pass the exam in the first attempt, here we launch the AZ-101 practice tests. These practice tests will help you check your preparation level, work on the weak areas, and become confident enough to pass the AZ-101 certification exam. Whizlabs Microsoft Azure AZ-101 practice tests have been curated by the team of subject matter experts and certified professionals. These practice tests will give you an experience of the actual exam, and thus you get fully prepared for the real exam. 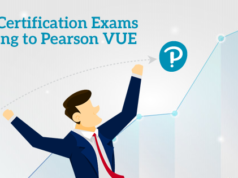 Ready to Pass the Azure AZ-101 Certification Exam? 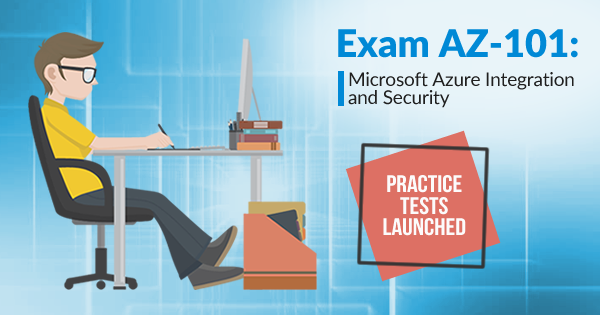 So, Whizlabs AZ-101 practice tests are launched to get you fully prepared for the Microsoft Azure AZ-101 exam. The domain-wise test reports will help you find your weak areas, and thus you will be able to work on them. If you have any doubt, you can first try AZ-101 free test and then take the full-length AZ-101 practice tests. Whizlabs has a team of subject matter experts and certified professionals. So, if you have any query, submit it on Whizlabs Helpdesk. Our team of experts will connect with you to resolve your query. Want to know more about AZ-101 exam? Write in Whizlabs Forum to start a discussion on with the experts on Microsoft Azure AZ-101 exam.